New Delhi – 110 001. Dated : 9th October, 2017. 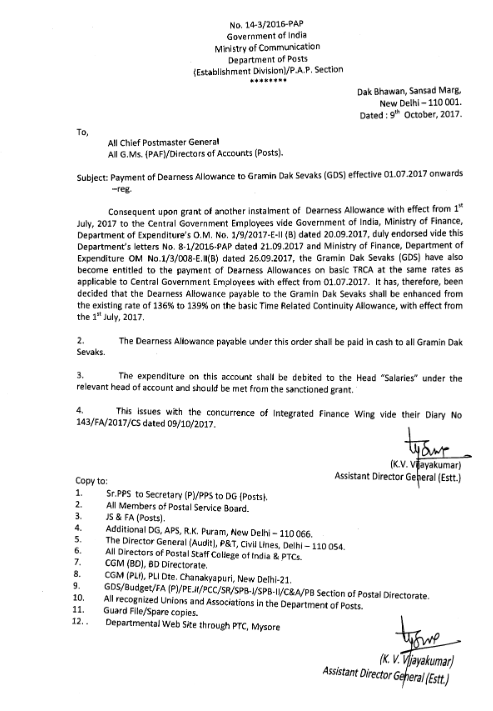 2.The Dearness Allowance payable under this order shall be paid in cash to an Gamin Dak Sevaks. 4.This issues with the concurrence of Integrated Finance vide their Daiary No 143/FA/2017/CS dated 09/10/2017.